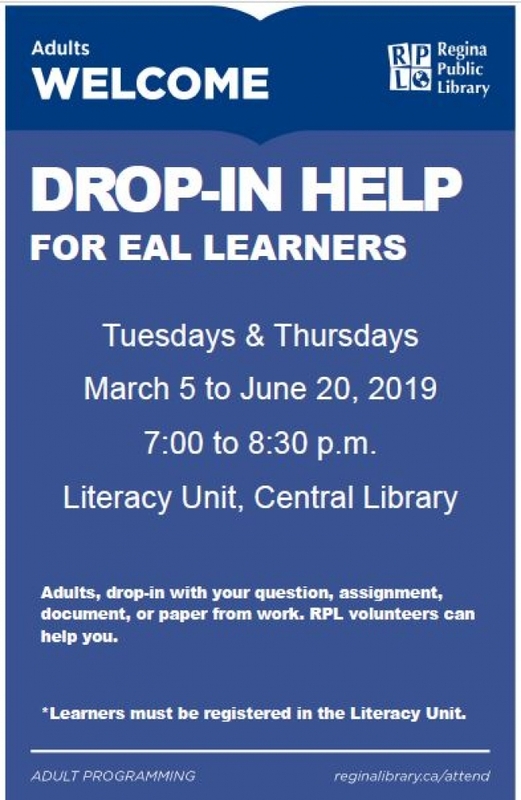 The Regina Public Library has a free Dop-in Program Help Program for Adults Learning English. Participants can meet one on one with a tutor who can help answer questions and assist with school assignments, parent and work documents, etc. In order to participate, you must be registered in the Literacy Unit of the library, so be sure to bring your literacy card, or library card with you when you attend.